Stay up to date on what's happening right now in Florida, including Hurricane Michael updates from Northwest Florida. Live webcams and local Twitter feeds from across the state can also be found below. Explore webcam of Cocoa Beach Pier. See more free Florida Beach and Surf cams at SurfGuru.com. Webcam view of Lori Wilson Park in Cocoa Beach. See more free Florida Beach and Surf cams at SurfGuru.com. Explore webcam of Jacksonville Beach Pier. See more free Florida Beach and Surf cams at SurfGuru.com. A view overlooking the Salt Pond Keys from Key West. The Franklin County Tourist Development Council reports that the coastal towns of Apalachicola, Alligator Point, Carrabelle, Eastpoint, and St. George Island are back open for business. Come to the coast and enjoy a full fall lineup of events and activities. Business owners and vacation property management companies on St. George Island and Alligator Point have been making repairs to more than 800 vacation rental units in the area and taking inventory in preparation to resume fall rental activities. And the news is good. Birders flock to the Franklin County coastline this month. During November, three of Franklin County's most popular migrating bird stopovers are located at two state parks and a federal wildlife preserve. Bald Point State Park, located at the extreme eastern tip of Franklin County, is considered one of the best areas in the Southeast to view the annual bird and butterfly migrations. Some of the migrating bird species you might encounter on a quiet morning or late afternoon include warblers, peregrine falcons, hawks and bald eagles. The Dr. Julian G. Bruce St. George Island State Park features more than 300 species listed on the St. George Island State Park birding list. St. Vincent National Wildlife Refuge, at the westernmost end of Franklin County, is also an important stop-off point in the Gulf of Mexico region for migratory birds. To learn more, visit floridasforgottencoast.com. Apalachicola's annual Christmas Celebration will light up the streets in the historic downtown on Friday, Nov. 23 from 4-8 p.m., the day after Thanksgiving. The streets will be lined with luminaries, merchants will be open late and the sounds of carolers will echo through the streets filling the evening with the Christmas spirit. Santa will arrive on a shrimp boat at 4 p.m.
Plan a trip the following Saturday on Dec. 1 for the annual Fresh Market downtown. Carrabelle will host its annual Holiday on the Harbor Boat Parade of Lights on Saturday, Dec. 8 from 1-8 p.m. along the riverfront in Carrabelle. We are very fortunate that we were unscathed by the storm and are grateful to be a part of such a strong and resilient community. We are operating with normal business hours and have been blessed by being able to serve many of our neighbors in their time of need. CareySue & Paul Beasley at Easy Vacation Services specialize in coastal southern hospitality with vacation rentals, concierge services, cleaning services, and special events. Hurricane Michael rocked the Florida Panhandle, but we’re fortunate to say that Navarre Beach and all of Santa Rosa County is open for business and ready for visitors. From our beautiful coastline to the Blackwater River in North County, our many restaurants, hotels and attractions are open and ready for you to enjoy. Come for our festive holiday events, all still scheduled as planned. Interested in learning more about how we stay #FloridaStrong in the face of natural disasters like hurricanes? Visit the Navarre Beach Sea Turtle Conservation Center to learn how our reefs and sea animals manage when storms hit. Go on an eco-tour at Adventures Unlimited. Also, make sure to support our local businesses. Navarre Beach is known for its uncrowded, unspoiled and unhurried natural beauty and charm in the Florida's Panhandle. Santa Rosa County offers a relaxing blend of waterfront beauty and backwoods adventures that begs to be explored on your next Florida vacation. By visiting our shops and restaurants and supporting our tourism industry, you’ll help our residents recover and let life in Navarre Beach return to its natural, relaxed state. Show your love and support of Navarre Beach, and plan to visit Florida’s Most Relaxing Place soon. Located between Pensacola and Destin/Fort Walton Beach, Florida's Most Relaxing Place – whose communities include Navarre Beach, Gulf Breeze, and historic Milton -- is an easy drive from most anywhere in the Southeast. It features relaxing Florida beaches, spectacular sunsets and inland waterway adventures to savor at an unrushed pace in an uncrowded atmosphere. The shores of Navarre Beach in the Florida Panhandle provide plenty of reasons for travelers to fall in love with the cooler days of autumn. The destination is full-swing into its festival season, locally referred to as “Beaches to Woodlands,” with plenty to do throughout the entire county. This charming, family-friendly locale beckons travelers to join in the celebration of the season with more than 30 events from Navarre Beach to the Blackwater River State Forest, and everywhere in between. Compete in a fishing tournament, watch a Civil War skirmish, zip line through the changing trees, find your way out of a corn maze and take a hayride or horseback ride. Here, there's something to delight visitors of all ages. Many have called and asked how they can help locally. Our ministry, Tent Revival of America, is working locally. You can make a secure online donation and see photos of our work at www.tentrevivalofamerica.org. HURRICANE MICHAEL UPDATE: The Theatre has not suffered any structural damage. Shows are still being booked at this time; 20-plus miles of Panama City Beach has little or no damage. Tickets now available for all Todd Herendeen shows. Call or book online. Todd Herendeen Theatre is the newest Music and concert show room on the Gulf Coast. Bringing Branson-style family friendly entertainment to beautiful Panama City Beach. Dinner and fun music show. Hurricane Michael was a historically destructive storm, unlike any we had seen before. Unfortunately, there has been widespread damage throughout the area and many of our employees have lost their homes and belongings. Although Days Inn Panama City Beach sustained damage and is currently not open for guests, we are committed to coming back better than before. As we work on recovering from this disaster, Days Inn Panama City Beach is also partnering with local businesses to help those in need. We joined with The Grand 16 Theater in Pier Park and The Panama City Center for the Arts in downtown Panama City to help with Halloween activities so kids still had the chance for some normalcy and childhood magic. Days Inn Panama City Beach is a beachfront hotel located right on the beautiful Gulf of Mexico. We offer many amenities, including free family entertainment with pirates and mermaids. Every room has a private balcony overlooking the Gulf of Mexico and the white sands of Panama City Beach. Both our store, The Wine Dog, and our home made it through Hurricane Michael with damages that are manageable. With the help of a generator, we were able to open the store up seven days after the storm annihilated Panama City. We were the lucky ones who had AT&T as our Internet provider and phone service. We had full power 14 days after the storm. Due to the high traffic volume going home after work, we have adjusted our hours: Monday - Saturday 11 a.m. to 6 p.m. We’re open later on Fridays if we’re offering a wine/beer and food special. Our Panama City location was very fortunate, suffering very minimal damage. Unfortunately, our neighbors around us were not so lucky. We are up and running full force, and helping many businesses with movements and support. CPC Office Equipment is offering free loaners to businesses damaged by Hurricane Michael and in need of office equipment such as printers and copiers. First responders in need please contact me. The main goals are to help businesses and to keep the focus on this area going forward as people are still suffering and need help. CPC Office Technologies is a local company in business more than 40 years, with seven locations with full-time technicians and support and more than 80 local dedicated employees. We’re here to help with all your office needs for equipment, document management and other services. Our head boats and sightseeing boats will be out of commission until March 1. However, the dive boats and the private charters are ready to take you fishing now. Capt. Anderson’s Marina, owned and operated by two pioneer Bay County maritime families, has 30 private charter boats, four dive boats and five large, ultra- modern, party fishing boats. The double-decker glass-bottom boat, the Capt. 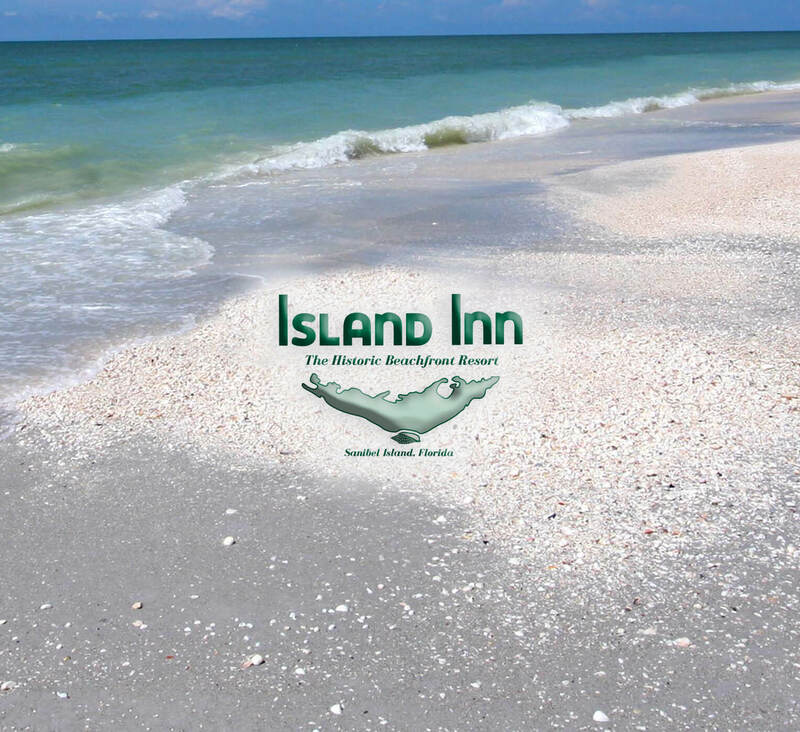 Anderson III, features narrated tours to Shell Island and romantic dolphin encounters at sunset. The Pensacola Bay area was incredibly fortunate; our slice of Northwest Florida was unscathed with little to no impact at all from Hurricane Michael. Our community is open and ready for business. All of our Fall festivals and upcoming holiday events will continue as planned. We invite travelers to come and enjoy the Pensacola experience. Visit Pensacola is the destination management organization for Escambia County, which includes Pensacola, Pensacola Beach, and Perdido Key. With more than 450 years of rich history and 18 miles of sugar-white sand beaches bordered by the emerald-green waters of the Gulf of Mexico, visitors from all over the world are lured to our pristine shores every year. Visit Pensacola supports the community vision of tourism by serving as the central body responsible for building tourism as an economic engine for our community through leadership, connection, collaboration, and communication. Gulf County is a strong community, and there has been no better display of our strength than these past few months. Although we were hit directly by Hurricane Michael, we have all come together to rebuild better than we've ever been before. Join us on a powerful journey as our local business owners recount their experiences in our "ReBuild, ReVisit, ReDiscover" Video series. We know that our visitors love our home as much as we do, and so we are excited to be able to continue to extend an open invitation to visit beautiful Gulf County, Fla. The Gulf County TDC (GCTDC) is a responsible partner-based industry organization that takes a leadership role in addressing issues that affect tourism and the quality of life in Gulf County. The GCTDC strives to grow in a balanced and sustainable manner while effectively executing marketing activities that will strengthen the position of Gulf County in the tourism marketplace. The GCTDC manages and maintains the quality of Gulf County beaches as the primary attraction and works to unify the master- and sub-brands with clear, concise messaging to broaden the awareness of Gulf County Florida and ultimately increase tourism. Thank you to all of our friends for thinking of us and reaching out during and after Hurricane Michael. We are fortunate that our property did not sustain any damages due to the hurricane and we have been welcoming guests back to the hotel since Oct. 13th. Our onsite restaurants and spa were unscathed and are operating at their regular business hours. As we continue to receive new visitors each day, our hearts are with the people of Panama City and Mexico City Beach as they continue to rebuild and move forward, as well as with the law enforcement officers and linemen who have come from near and far to help everyone in Northwest Florida. Hilton Sandestin Beach Golf Resort & Spa is located on the sugar-white sands and emerald-green waters of Northwest Florida’s Gulf Coast near Destin in South Walton, Fla. Northwest Florida’s largest full-service beachfront resort hotel boasts 602 spacious accommodations, more than 40,000 square feet of award-winning meeting space, a world-class spa and fitness center, six on-site dining venues – including the Emerald Coast’s only AAA Four-Diamond steakhouse – abundant resort recreation options, access to championship golf courses, and close proximity to the area’s best attractions. The Museum is OPEN! Thankfully, our side of Tallahassee did not sustain the damage that our family and friends just a few minutes west of us did. Here at the Museum we were blessed to only lose power, a few trees and a lot of leaves. We are up and running normal hours --offering a welcome respite for those needing a break. Come see us! The Tallahassee Automobile Museum is packed with more than 160 exceptional automobiles dating from 1894-2018, motorcycles, and three Batmobiles. Over 200 collections of Americana include Steinway pianos, Case knives, brass cash registers, sports memorabilia, pedal cars, antique boats, and motors. We are also the largest locally owned banquet and conference center in the Tallahassee area. Our thoughts are with all those who have been impacted by Hurricane Michael. We are incredibly proud to be part of the Tallahassee community and endlessly grateful to all of the staff and volunteers who worked diligently, helping us reopen the Museum doors as swiftly as possible. For those who are visiting, working or just looking for a distraction during this unsettling time, the Tallahassee Museum will offer all evacuees in affected areas special pricing throughout November. BOGO admission, $5 off SOARING CYPRESS adventure course and $2 off Treemendous Course Offer ends Nov. 30, 2018. May not be combined with other offers or special events. Set amidst 52 acres of Florida flora and fauna, the Tallahassee Museum has served as an iconic Tallahassee landmark for more than 60 years. Ranked as one of Florida’s top museums, it features living exhibits of native Florida wildlife, nature trails and native gardens. The Museum encourages guests to discover and learn about North Florida’s natural environment, rich history and diverse cultural communities. Also: historic buildings, natural scenery, public programs, special events, and educational programs. Museum hours: 9 a.m. – 5 p.m. Monday-Saturday; 11 a.m. – 5 p.m. Sunday. Wakulla County, just south of Tallahassee, came through the storm with minimal damage. Essentials (utilities, electric, cable, Wi-Fi) were out of service for as little as one day, in some cases up to a week. Pine and oak trees were our largest problems and we’re still cleaning up after their uprooting. Good news is that all the major roads leading into the area were cleared within 48 hours and are now fully functional. We are thrilled to report all three of our major lodging facilities, one B&B and all seven RV campsites are open and operational. The Stone Crab Festival and the Panacea Oyster Festival, unfortunately, have been postponed until further notice. The Tourist Development is responsible for promoting and facilitating travel to and within Wakulla County for the benefit of its economy, residents, and travel/tourism. The TDC's vision is to be recognized as the county's official marketing and management organization to responsibly promote and protect the natural resources, recreational opportunities, and rich heritage of Wakulla County in coordination and collaboration with the Board of County Commissioners, Economic Development Council, and tourism industry partners. Submit your Recovery Update so we can help promote your organization.